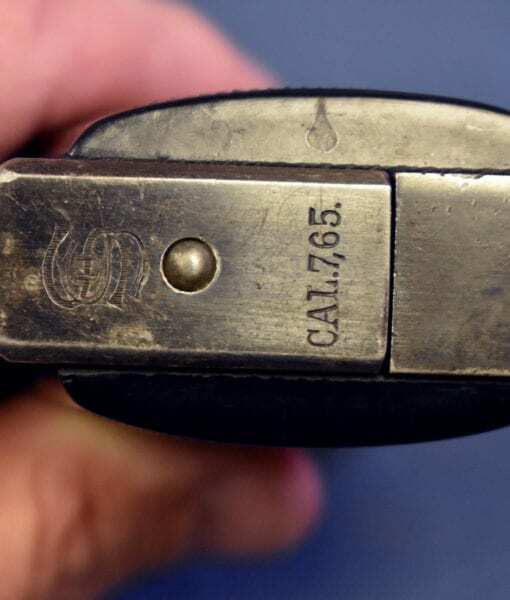 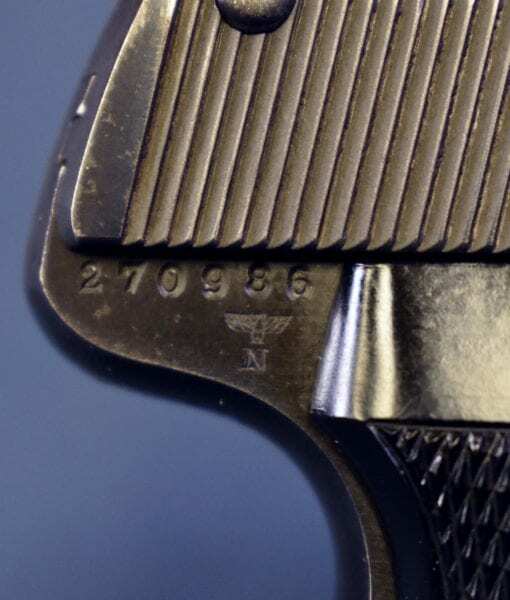 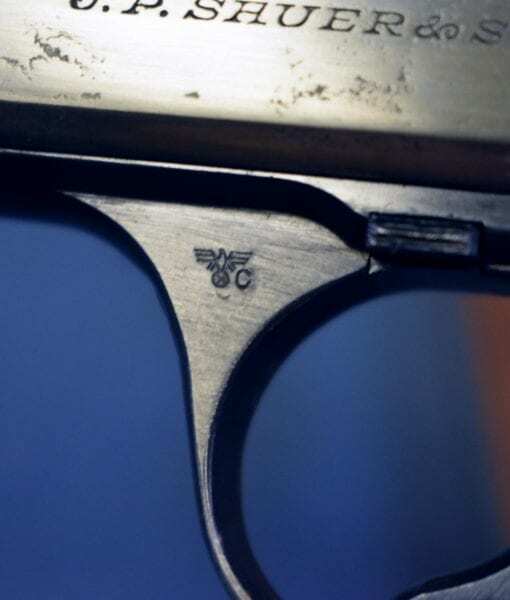 In 94% condition, we have a very decent example of an early production high polish finished Sauer 38H pistol with the “Police Eagle C” acceptance marking. 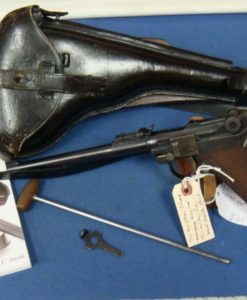 This is an early Nazi Police issue weapon and it has the police armory modified safety which was lowered and re checkered in order to prevent accidental removal of the mag. 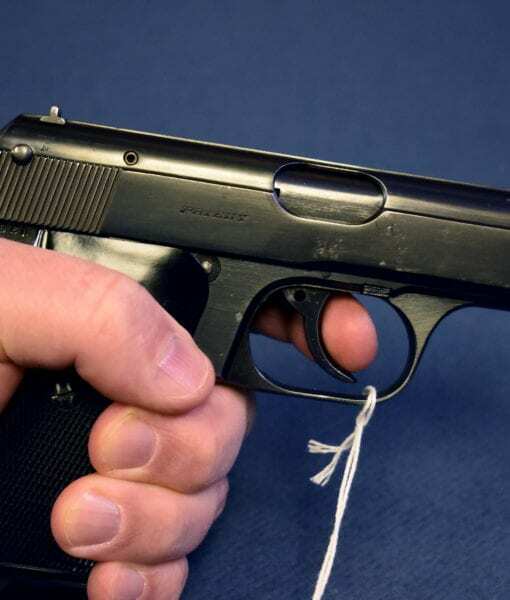 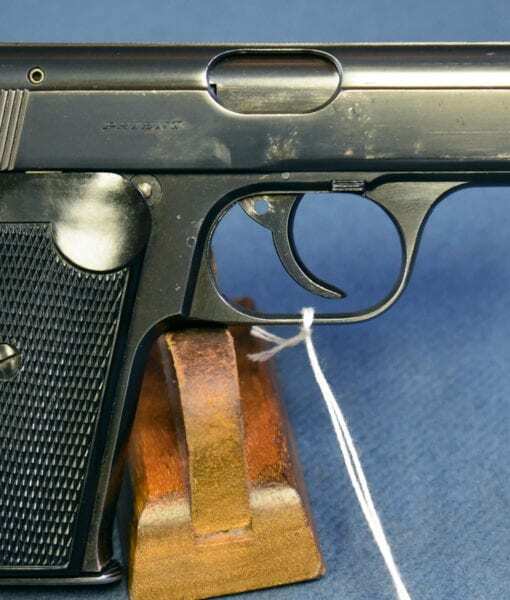 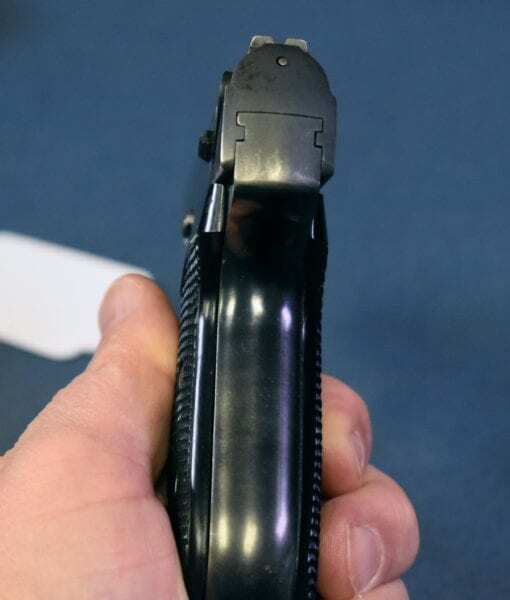 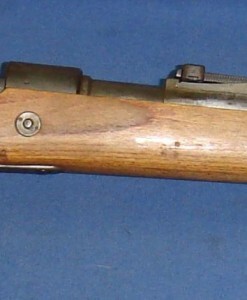 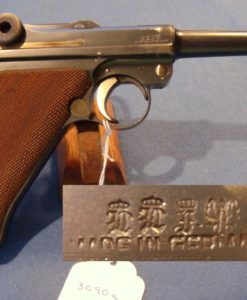 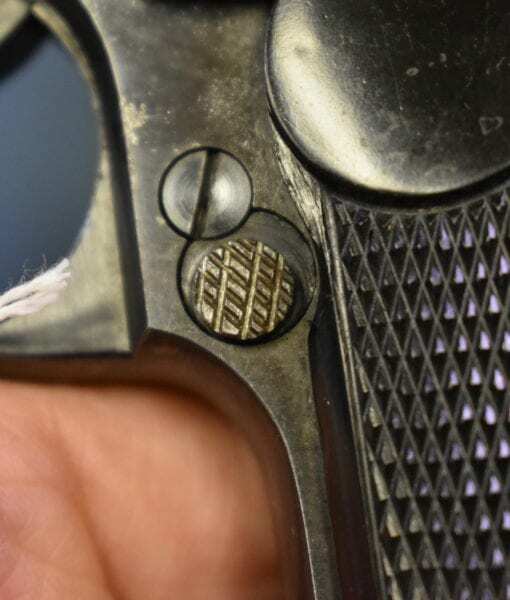 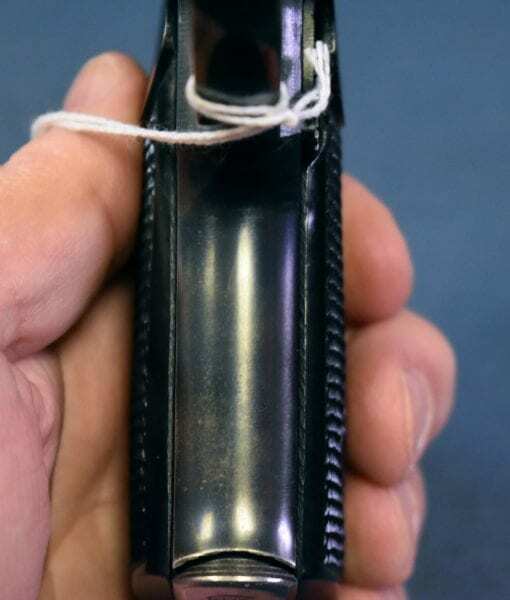 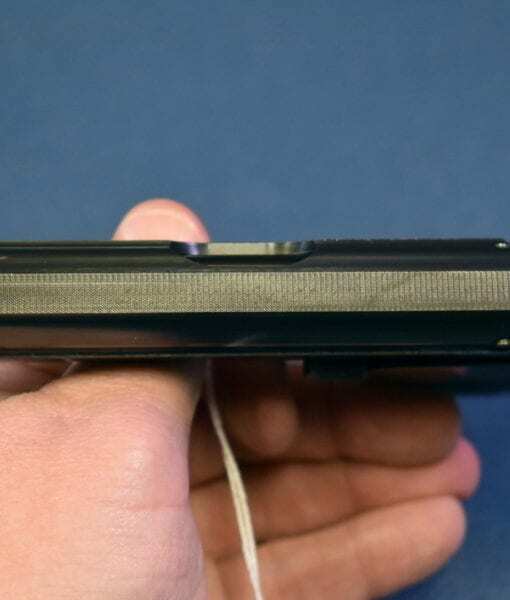 This modification was required by the Police and is only seen on these early pistols. 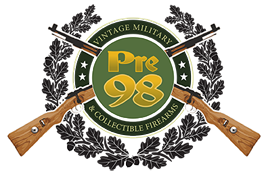 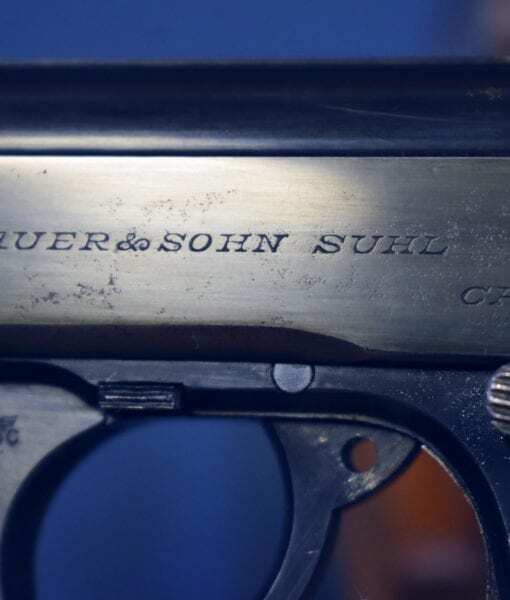 This 1941 production pistol is a fairly scarce Sauer to locate. 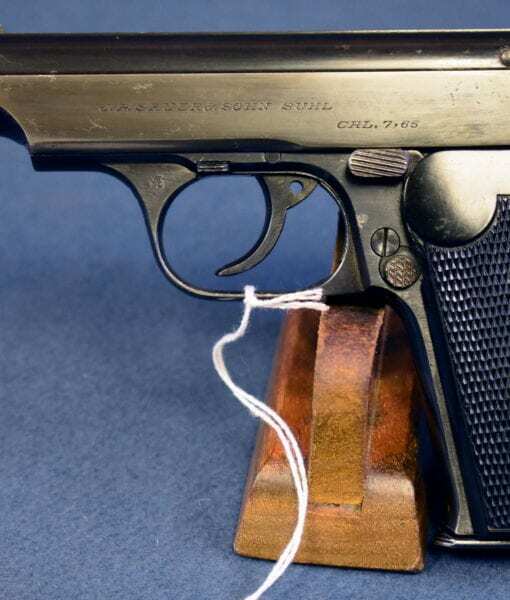 This is a very attractively priced Nazi Police sidearm to add to your collection.